This paper examines the essential brand management strategies used by Hezbollah to expand its popularity base among Muslims. As a form of public communication, brand management consists of determining how a brand should be positioned, to what kind of audience it should be targeted, and how its ideal reputation should be preserved. An example of Hezbollah’s brand is its main logo: an image featuring a yellow background and icons like an AK-47, which symbolises militancy overall. Brand management is successful when it meets three successful criteria: differentiation, credibility, and authenticity. 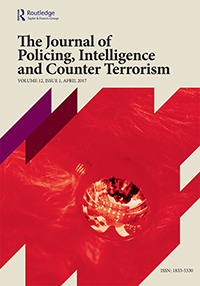 An important conclusion of this analysis is that terrorist organisations can fashion brands through powerful communicative strategies so as to promote the organisations’ images and agendas. In this particular analysis, it was found that Hezbollah uses powerful rhetoric and visual imagery throughout the Shia Muslim world. Because the power of brands resides in brand awareness, the public identity that Hezbollah radiates is what matters the most to the organisation.